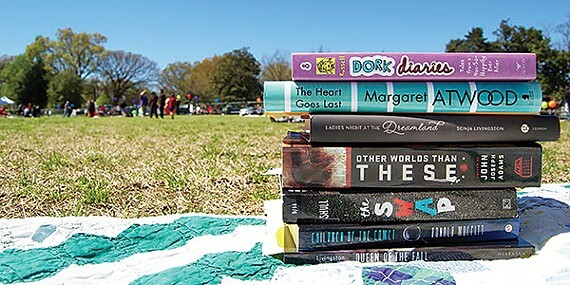 With hundreds of people gathered on the Greensward at Overton Park last Saturday, it was difficult to tell how many were there solely for the fourth-annual Literacy Mid-South Reading Flash Mob. Yet mixed in with the Frisbee throwers, the sun worshippers, the pet owners, and protesters was a healthy gathering of book lovers. 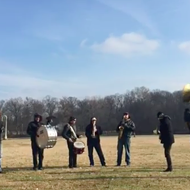 "Originally we came up with this idea when the flash mobs were really big," Kevin Dean, executive director of Literacy Mid-South, says. "There was a reading sit-in elsewhere as a protest, and I thought, 'Well why not just do some shared reading experience for people?' So we got in touch with the Overton Park Conservancy and got the permit, and it's just the perfect place for people to come and read. 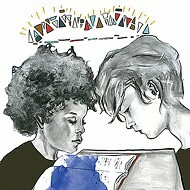 People are always out here reading anyway, so it's just capitalizing on what's happening here already." Literacy Mid-South was set up in the southwest corner of the lawn with a tent and tables full of books for children and adults free for the taking. On the northern end, a steel-fence barricade was erected to keep protesters and zoo parking separated. Uniformed police stood in clusters on the far side of the fence in that dog-eared, wheel-rutted corner as one of their helicopters kept watch from the sky. 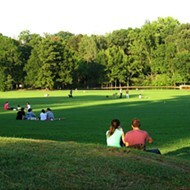 A rugby match took place nearby, women hula-hooped, artists sketched, and musicians played drums and guitars. None of this was a distraction, though, for readers such as Allison Renner and her family. "We support Literacy Mid-South, and I'm getting my master's in library science," she says. "I'm very interested in promoting reading, so we try to help out however we can." In the fight against zoo parking on the Greensward, it has been questioned again and again on social media and in print how those who care can't seem to care about any of the larger issues facing Memphis. Bruce VanWyngarden wrote in his letter from the editor in the last issue of the Flyer, "Well, of course, there are bigger issues. 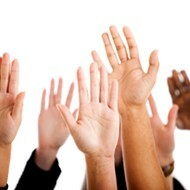 Lots of them: poverty, illiteracy, crime, rampant obesity, income inequality, to name a few." Illiteracy is one link in the steel-fence barricade preventing people from improving themselves and society from rising out of the mire of poverty and crime and income inequality. According to Literacy Mid-South, 14 percent of Shelby County adults are at the most basic literacy level, while 22 percent function at a marginally higher level. Eighty-five percent of the adults who contact the organization for help read on a fourth-grade level. This makes it difficult for them to fill out job applications and to find a place in the workforce, leading to higher rates of poverty and crime. This is why the public display of reading is necessary and why offering free reading material, especially to children, is paramount. 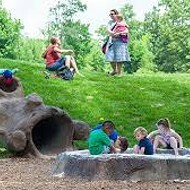 To that end, Citizens to Protect Overton Park (CPOP) announced on Saturday that it would donate 100 books to Literacy Mid-South. That book, of course, is Dr. Seuss's The Lorax, with its cautionary tale of what happens when nature is taken for granted. From where I sat among the readers last Saturday, three issues were being battled simultaneously — obesity, as people ran and walked and jumped; illiteracy, as families gathered for the Reading Flash Mob; and the Greensward issue, as citizens peacefully protested the parking of cars on the city's lawn. There was even a group collecting canned goods for the Mid-South Food Bank in an event called "Feed the Need and Save the Greensward." So go ahead and add hunger to that list of Memphis problems being battled on the front lines of Overton Park. We've made great strides in the past decade to come together and champion Memphis with a collective voice. Let's keep that momentum going and tear down the walls that continue to hold us back as a city. 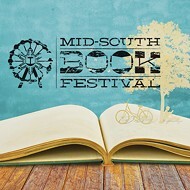 Mid-South Book Festival gathers book lovers and writers.